You Don’t Drive the 2019 Ford Ranger, the Ranger Drives You! I’m sure we’ve all heard the insane facts and rumours regarding Chuck Norris a.k.a. Walker, Texas Ranger. I’m sure we all know that Chuck Norris doesn’t wear a watch, rather he decides what time it is. I’m sure we also know Chuck’s calendar goes straight from March 31st to April 2nd, since there’s no fooling Chuck Norris. And I’m also sure we all know that when he was born, he drove his mom home from the hospital. But do you know what he drove? Well, my intrepid friends, if you answered “Whatever the hell Chuck Norris wanted to drive,” then you are correct. But I’ll tell you what Chuck Norris wanted to drive, and is excited to drive again: the Ford Ranger. In 2019, the Ranger returns more powerful than ever. How powerful? Lets just say the battery of the Ford Ranger doesn’t power it, it powers the battery. Rumour has it, it wasn’t Hans Christian Ørsted who discovered aluminum, but rather the Ford Ranger. That’s why the Ranger uses aluminum for its tailgate, front fenders, and hood. Why not use more aluminum, for an even lighter truck? Well, a steel frame and frame-mounted steel bumpers with bash-plates help protect your Ranger when you take it off-road. The Ranger is a survivor, like a modern-day Destiny’s Child or, to a lesser extent, Bear Grylls. Would it survive a rough and tumble off-road journey without the steel? Of course. But the Ranger doesn’t want steel to feel left out. Some would say the 2019 Ford Ranger is tested to the same durability standards as other F-Series trucks, but the truth is those tests were created for, and by, the Ford Ranger. The 2019 Ford Ranger doesn’t need a road to drive on, it creates its own roads. It’s okay, you can be skeptical around me — just don’t let the Ranger hear you question its capability. Forge your own path, with the 4X4 Ford Ranger and Ford’s Terrain Management System. 4 different modes means you can choose between Normal, Grass/Gravel/Snow, Mud/Ruts, and Sand. And you can bet that if (and when) the Ranger discovers a new type of terrain, it won’t be long before it gets added to the list. Add-on features like Trail Control, a mix of cruise-control and hill-descent control, and you’ll be making molehills out of mountains like the Rockies in no time. Eight long years have passed since the Ford Ranger last graced a dealership. But like some sort of mechanical phoenix, rising from the ashes, the Ranger is back and ready to tackle the toughest terrain. Some may say there was demand for Ford to bring back the Ranger, but in reality, the Ranger demanded that Ford bring it back.  And now that it is back, you’ll be able to find it at both Edmonton and Chuck Norris’s favourite Ford dealership: the one, the only, Team Ford.